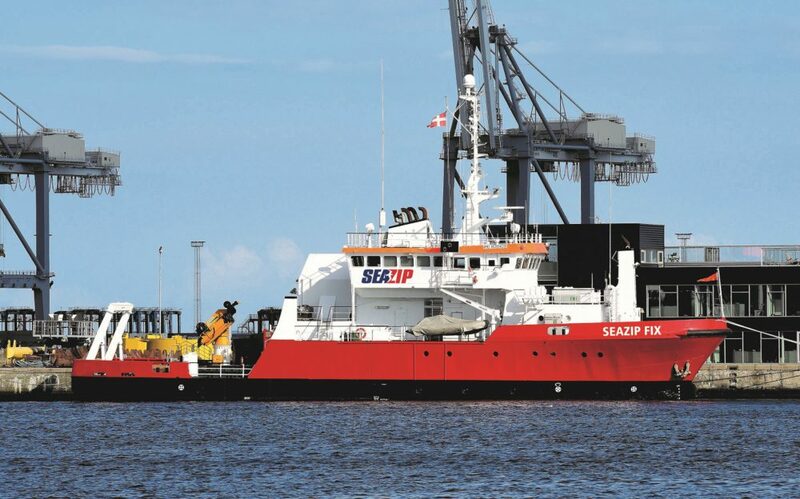 From mid-April 2018, Harlingen-based SeaZip Offshore Service and Amsterdam-based Deep Hydrography & Geophysics will jointly operate a DP1 Ice Class Survey and ROV vessel. This means that hydrographic and maritime expert knowledge will be combined in a robust vessel of more than 42 metres long which can be used for any survey operations on the open sea. The vessel, the SeaZip Fix, manned with maritime professionals and can be supplemented with experienced surveyors. She has a high level of equipment for surface and underwater positioning. Specific survey equipment can be added to her standard equipment, such as multibeam echo-sounder, a side-scan sonar, a UXO gradiometer array and a sub-bottom profiler. 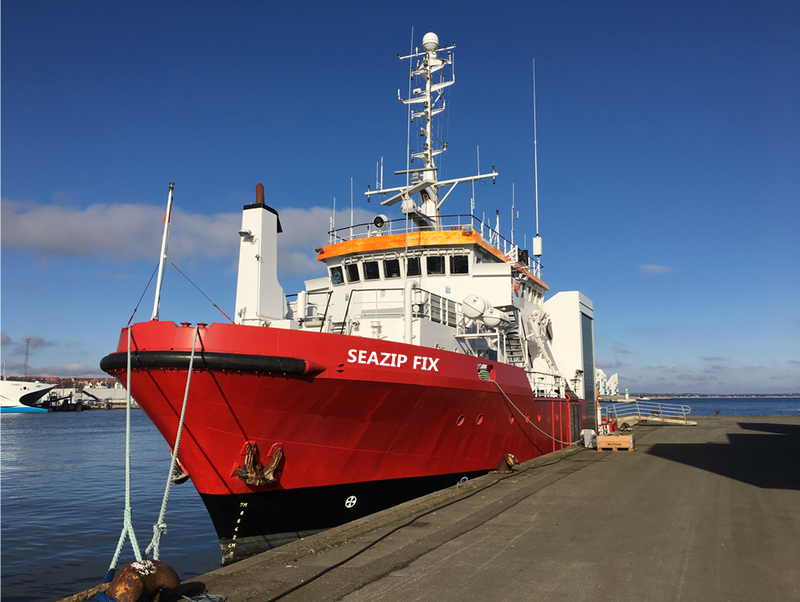 The DP1 Ice Class Survey and ROV vessel SeaZip Fix was built in Norway in 1981 and fully refitted in Denmark in 2015. The vessel is 42.24 metres long and 10 metres wide and has a draught of 5-metre. She boasts 9 single and 6 double berths. In 2015, all electronics and control systems were replaced and all class requirements were met before the transfer. The SeaZip Fix provides the stability required for safe operational processes at sea – even in challenging circumstances. Due to the large number of berths, the vessel can be deployed for 24/7 operations. Messrs Arends and Beerens emphasize that they not only focus on providing full services to contractors who want to benefit from their joint know-how. Colleague survey companies operating at sea can also hire the vessel with her crew and high-grade survey equipment. For a long time, SeaZip and Deep have worked together on a project basis. Their joint purchase and operation of the DP1 Ice Class Survey and ROV vessel is adding another dimension, generating synergy for the market between two unique kinds of expertise. It is the first and critical step to continually expanding offshore service provision as partners. Do you want to know more about the technical details and availability of ROV SeaZip Fix? Please contact us to get quickly access to all relevant information.